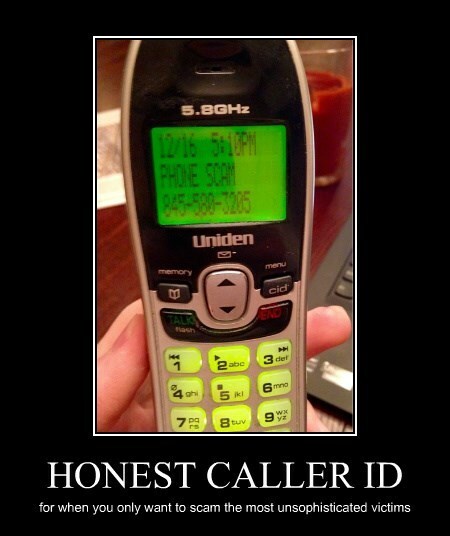 Thanks to NovaNation21 for posting the original honest caller ID image on reddit. There's a school of thought that says spammers send ridiculously bad spam emails in order to weed out people who might see through the ruse and waste their time or report them. It's a way of making sure you're dealing only with the most gullible recipients. Perhaps this caller ID is honest for the same purpose.